Indulge in OT that will not deprive you of quality time with the family. Oreo Philippines by Mondelez International launched last Friday at the Blue Leaf Pavillion, Bonifacio Global City, "Sarap Mag- #OreoTime", the campaign to motivate more parents to spend quality time with their children. The Department of Labor and Employment Statistics reported that the average Filipino worker spends around 46 to 64 hours overtime at work per week and this spells a lot of extra income yet less quality time with loved ones. 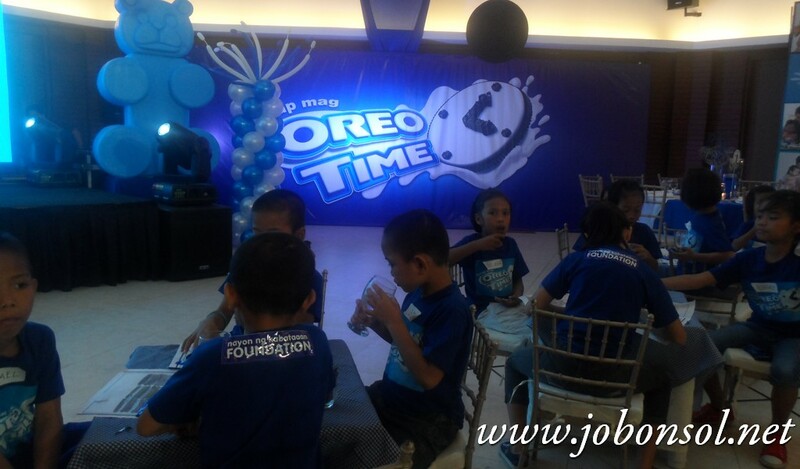 The #OreoTime event hosted by Unang Hirit host Ms. Lyn Ching-Pascual and daughter Gabby delighted children from Nayon ng Kabataan Foundation in fun games and surprises by Oreo. It was fun joining the Toss Game with Glaiza of Nayon ng Kabataan although we did not win. 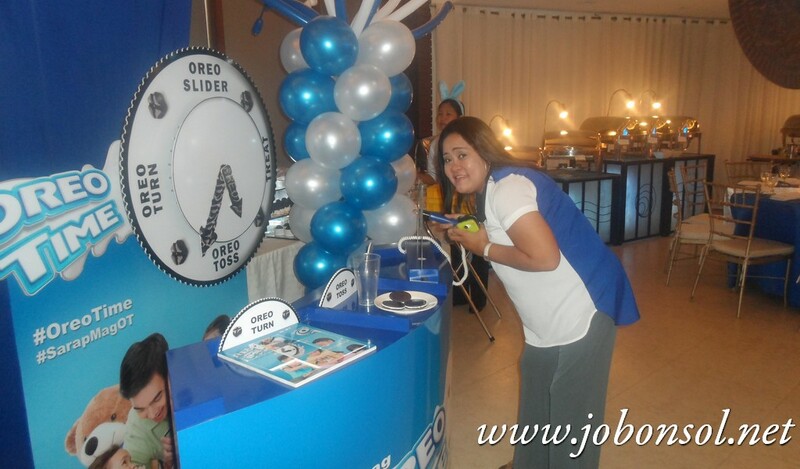 It's always refreshing and liberating to observe the smile and joy of kids having fun at the booths and game kiosks by Oreo. I couldn't take my eyes of the baby boy of blogger friend Angelyn who had to stand and jump on the chair while the program was ongoing and I felt how happy the kids were with their mothers during the event. It is indeed a fact that most working moms these days ignore how valuable time is with their kids. Eventually they'd face the realities of their children already becoming learners-at-risks that schools will have to struggle. 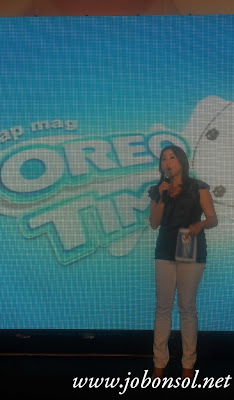 I remembered how I started loving Oreos and it was #OreoTime then. My son used to always smile and dance when the #Oreo TV ad was played before and how he'd always bug me to buy #Oreo in the supermarket. That was the reason also why I had to always buy fresh milk because my son loved that Twist Lick and Dunk activity with his dad. Time passed, my son never outgrew love for the Twist Lick and Dunk and we always had Oreos because it's his favorite cookie. I think it's the aroma of Oreos and the fresh milk dunking that makes the difference. Either way, it kept me and my son together every Sunday for movie time with Oreos. Oreo also invited Child Psychologist Danielle Ochoa, a psychology professor at the University of the Philippines Diliman sharing how to spend quality time with children. Nayon ng Kabataan Foundation children and the invited guests families also enjoyed the performances of Hyperkids and Far East Acrobats from Talentadong Pinoy in death-defying stunts. 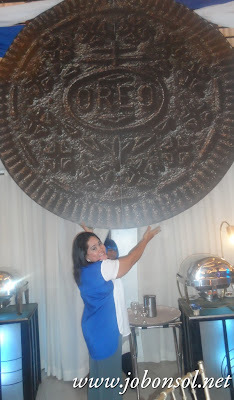 The unleashed child in me wished that the biggest Oreo display be real and that there'd soon be bigger Oreos available for purchase so I'd make all my friends envious. Many of my friends of Facebook went gaga over the photo and probably had Oreos after seeing my Instagram posts. I'll forever be in love with Oreos and I'm grateful that they have always made families happier and more bonded with Oreo Time. 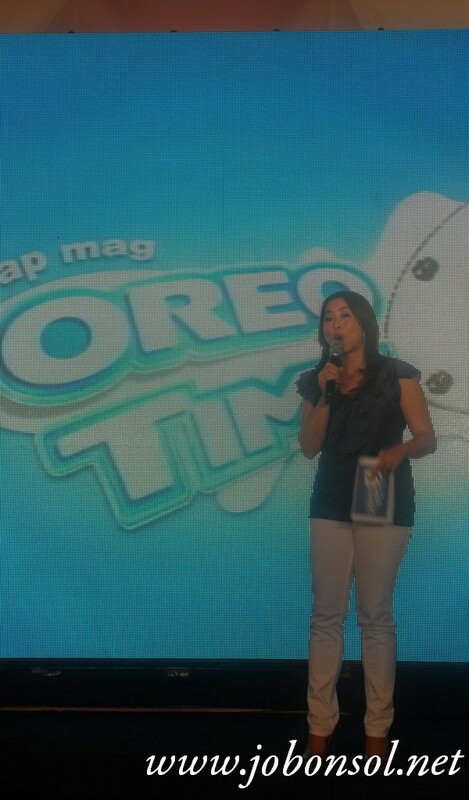 Know more about Oreo and Oreo Time. Visit www.oreotime.com and like their official FB Page- https://www.facebook.com/oreogetdunked.ph Oreo Time which will redirect you to the app http://www.oreotime.com/sns-redirect and share your #OreoTime photos for a chance to win exclusive items and prizes from Oreo. My brοther ѕuggesteԁ I would possibly likе this blog. He used to bе entirely right. Thiѕ submit аctually made my day. spent fоr this info! Thank уou!